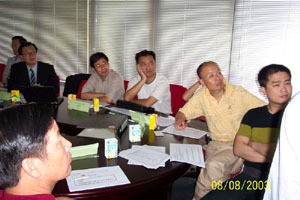 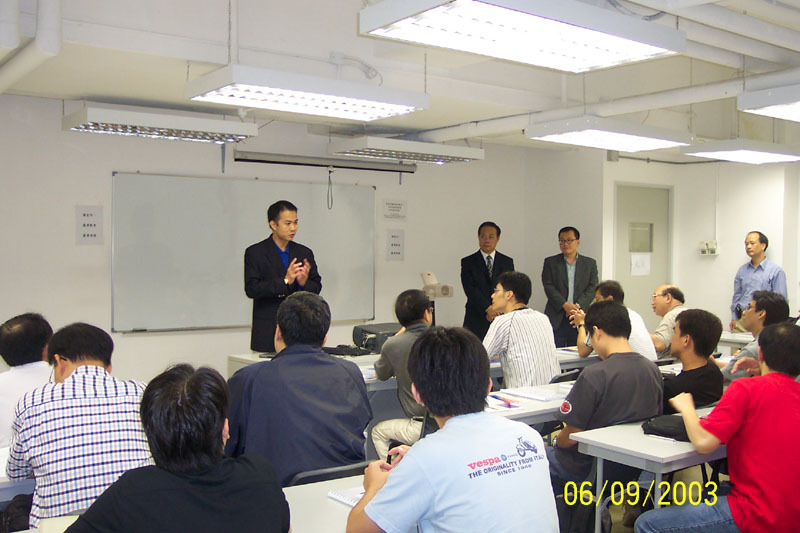 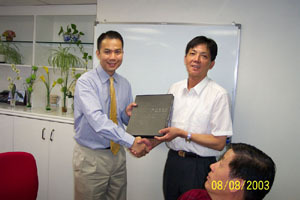 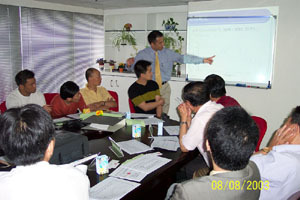 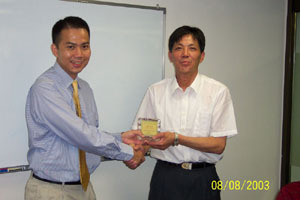 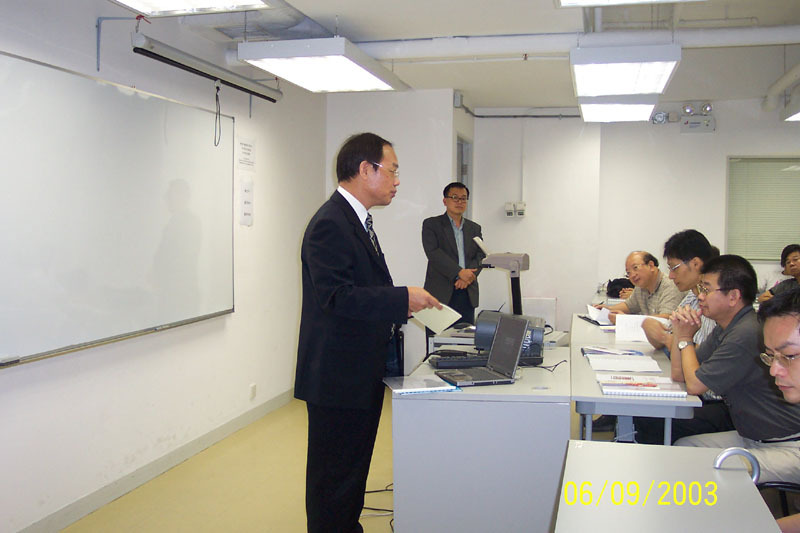 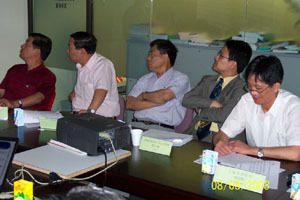 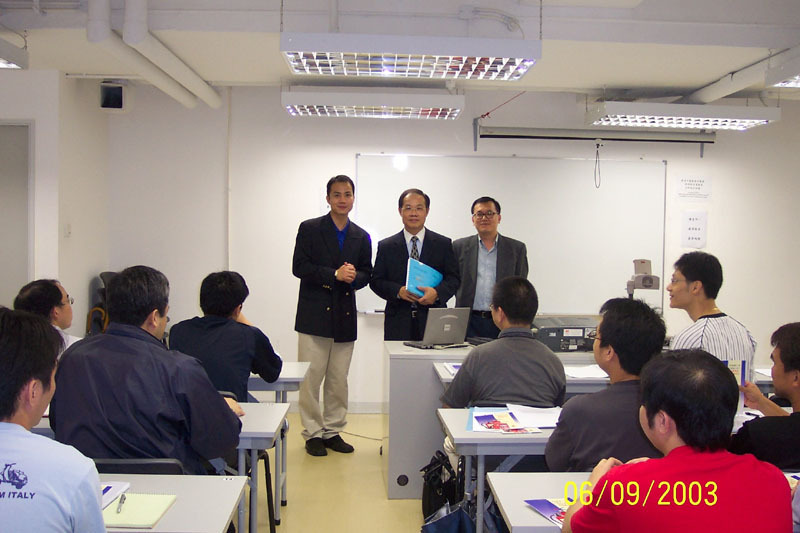 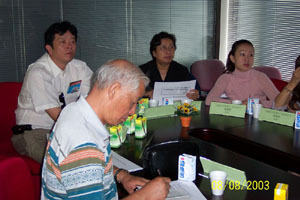 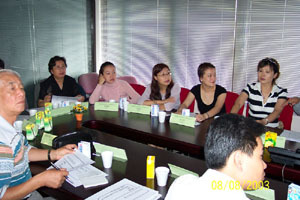 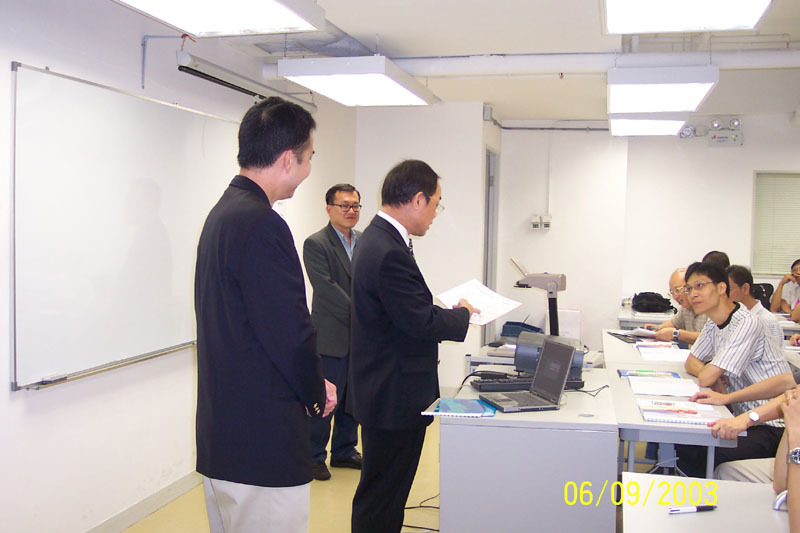 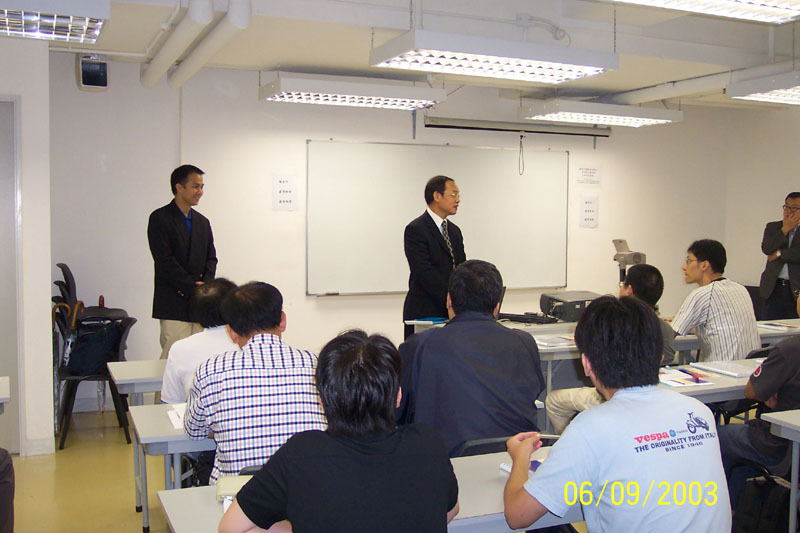 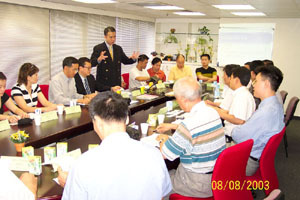 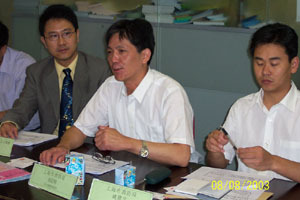 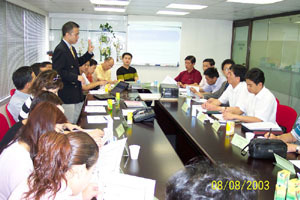 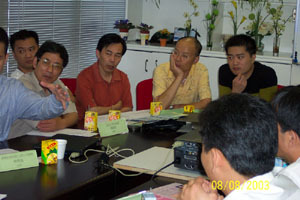 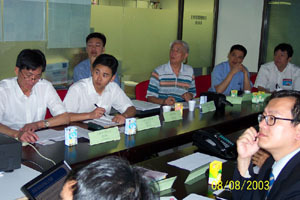 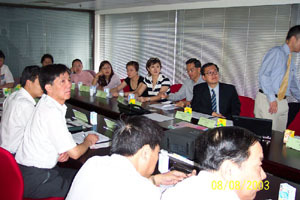 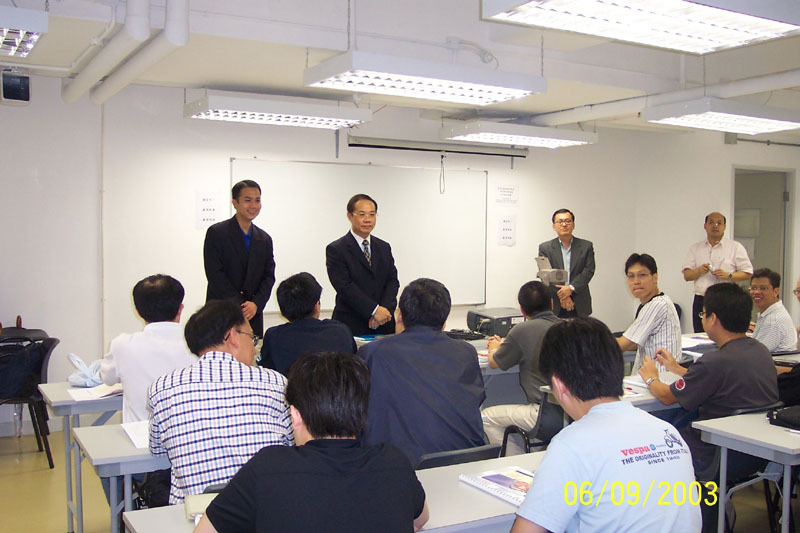 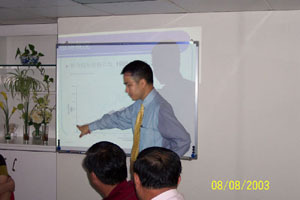 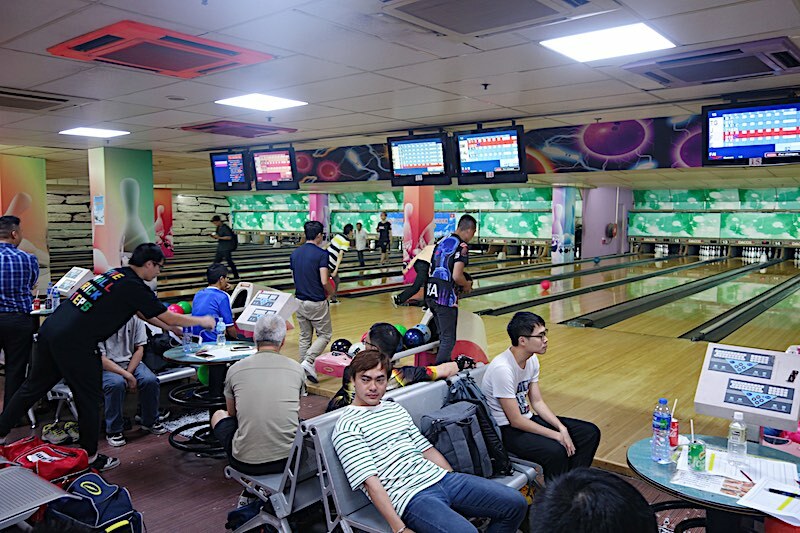 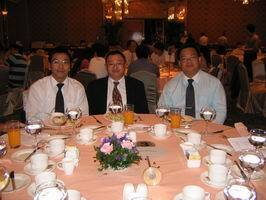 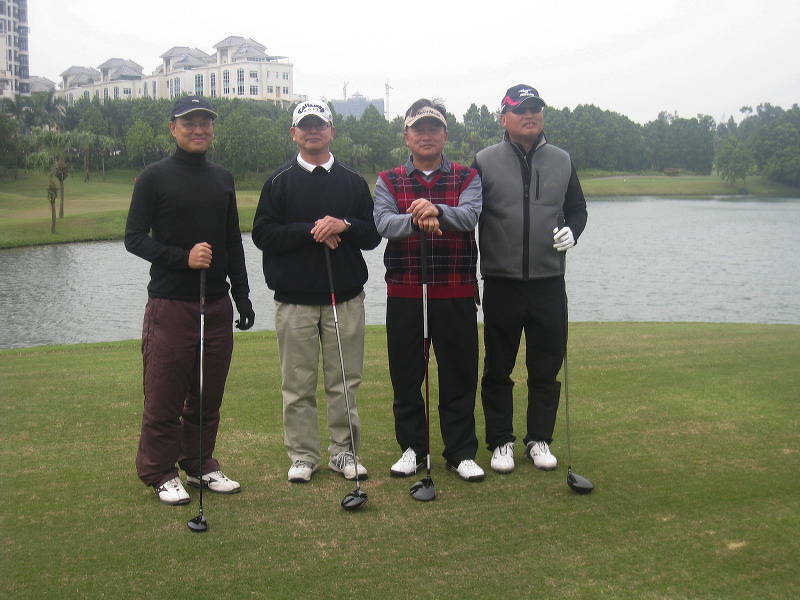 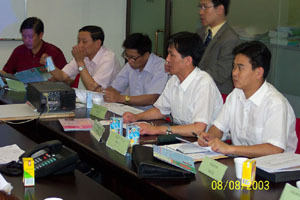 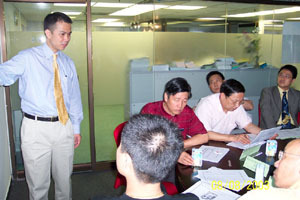 On 8th August 2003, the Association welcomed over 20 friends coming from Shanghai. 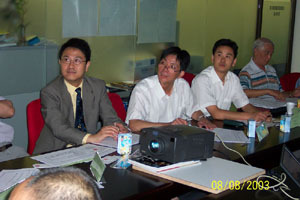 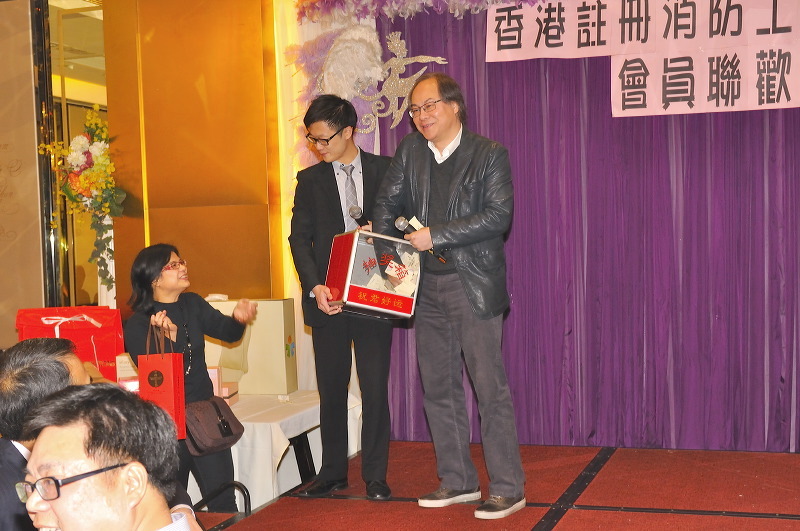 Our friends are the senior managers of 13 major fire installation contractors, fire product manufacturers and Mr. YAO Jan-men of Shanghai Fire Journal ( http://www.fire.sh.cn ), which is an official journal run by Shanghai Fire Bureau from Shanghai. 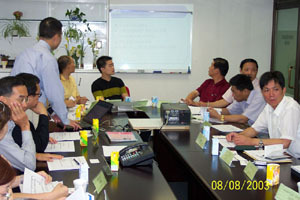 The team was led by Mr. HU Ya-ming, Deputy Chief of Fire Prevention Department of Shanghai Fire Bureau came to visit our Association to understand the setup and the operations of the Association. 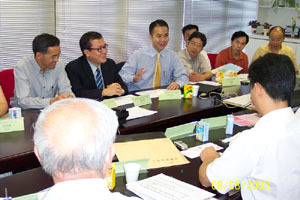 Our chairman- Peter LAM, vice chairman – Wicky LO, council members – Michael LAM, Francis TANG and Raymond TSUI met with the Shanghai delegates at the office of the Association in Wanchai. 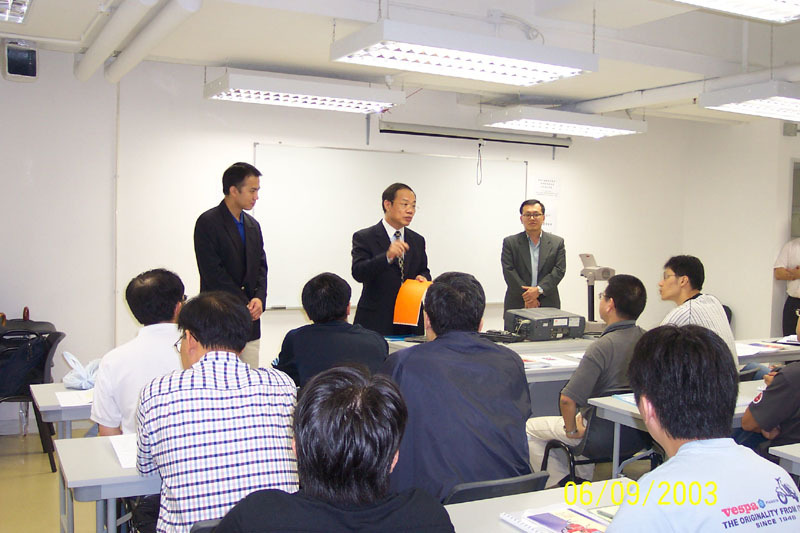 Chairman Lam gave a presentation to our friends from Shanghai about the overview of the fire industry in Hong Kong and its development since the 1960s. 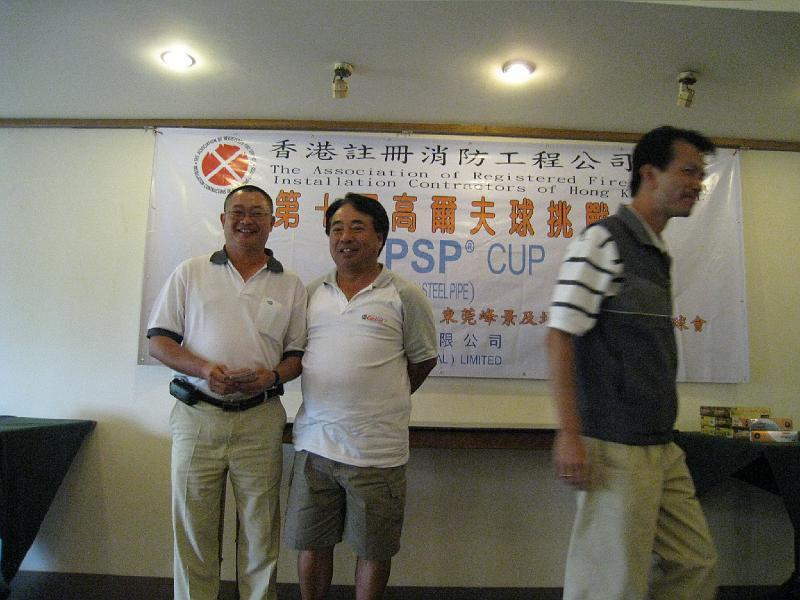 Some of our members might find the faces of their friends in the following pictures! 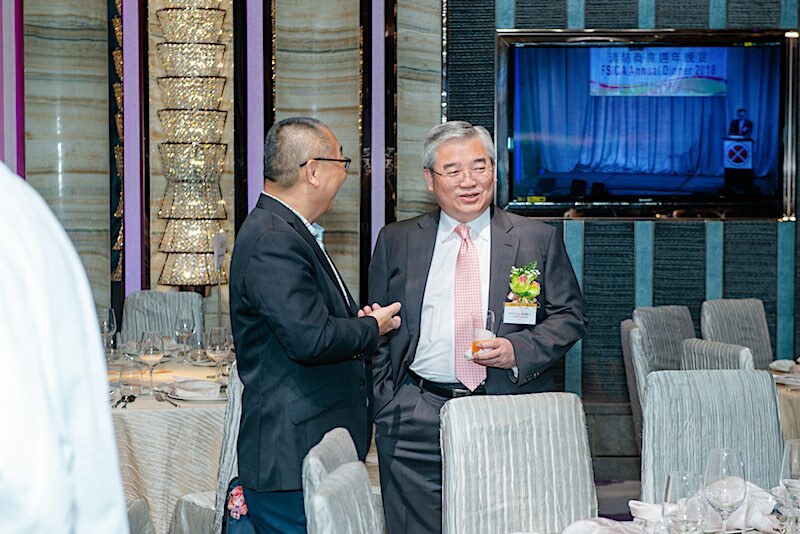 Chairman Lam received warm hospitality in Shanghai when he went to Shanghai to visit the 5th Shanghai Fire Product Exhibition held in Shanghai from 2nd to 5th September 2003. 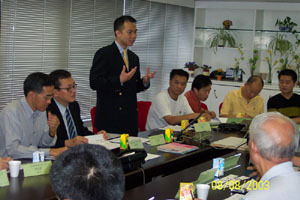 The Association has now been invited to visit our good friends in Shanghai by the team leader Mr. HU Ya-ming of Shanghai Fire Bureau. 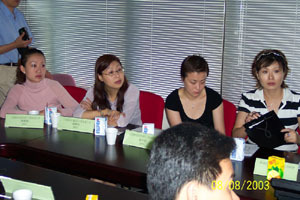 Members shall soon receive information about the Shanghai visit.